Simply Select "PLAY" for a Guided Tour, or Walk Through Independently. 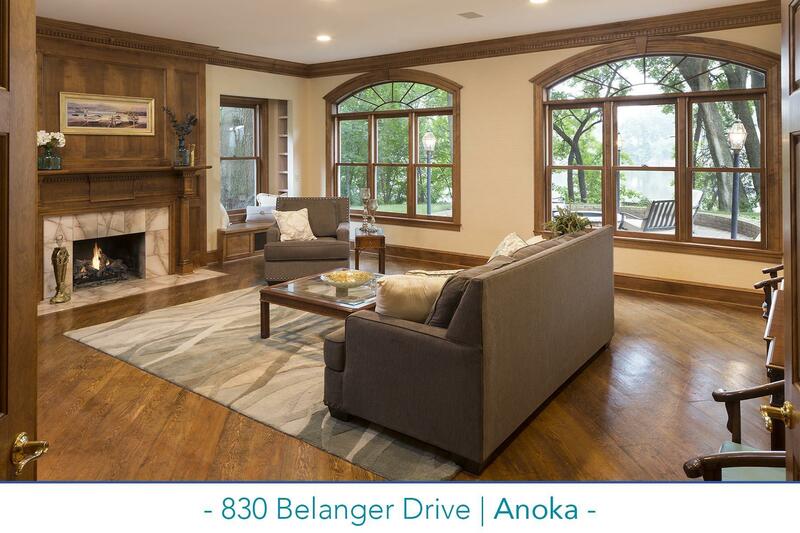 Overlooking the Mississippi River, this custom designed one owner home for sale in Anoka features gracious public rooms, including a library with fireplace, living room with hardwood floors and fireplace, banquet sized dining room with fireplace. Vaulted music room features large office hidden behind rotating bookshelf, generous kitchen with dual islands, and pantries, breakfast area, and solarium/family room. Five bedrooms on second level plus third-floor bonus room. Riprapped shoreline with dock and expansive yard with fire pit and terrace.